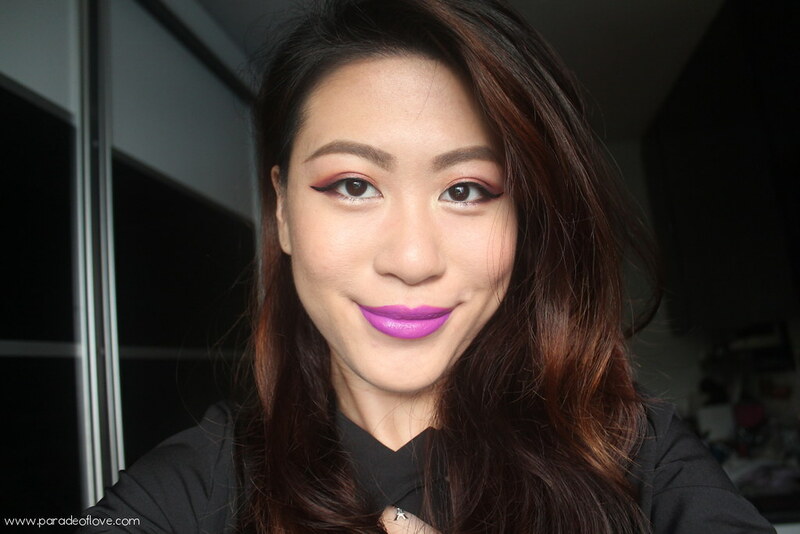 Housed in an angular plastic tube, the lipstick has got a coloured matte body that reflects the shade it contains. Although it feels a bit clunky, it’s not meant for reapplication because of its 16 hours long-wear formula, so if you’re out whole night partying, you don’t have to worry about not having clutch space for this! 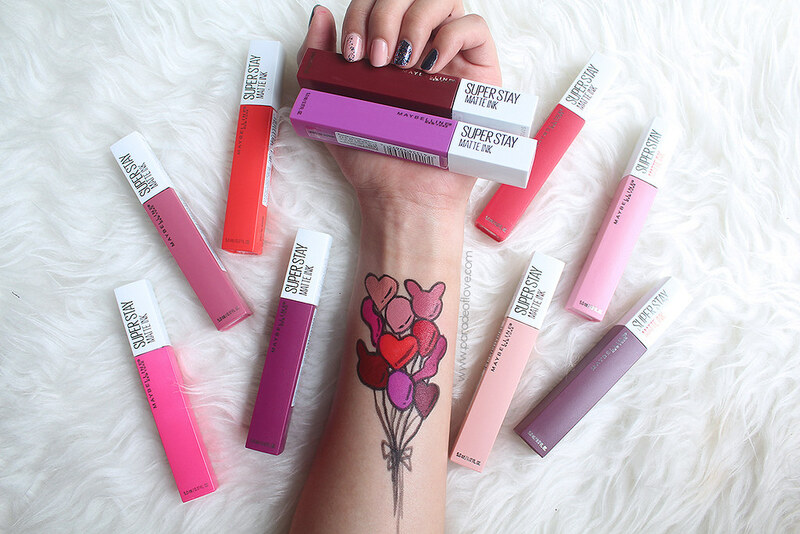 The Superstay Matte Ink features a unique arrow applicator with a tapered point for precise application. It has two reservoirs, one on each side to help pick up ample product for you to sufficiently apply onto your lips without having the need to dip the applicator into the tube. All you need is just one coat for an even pigmented finish. 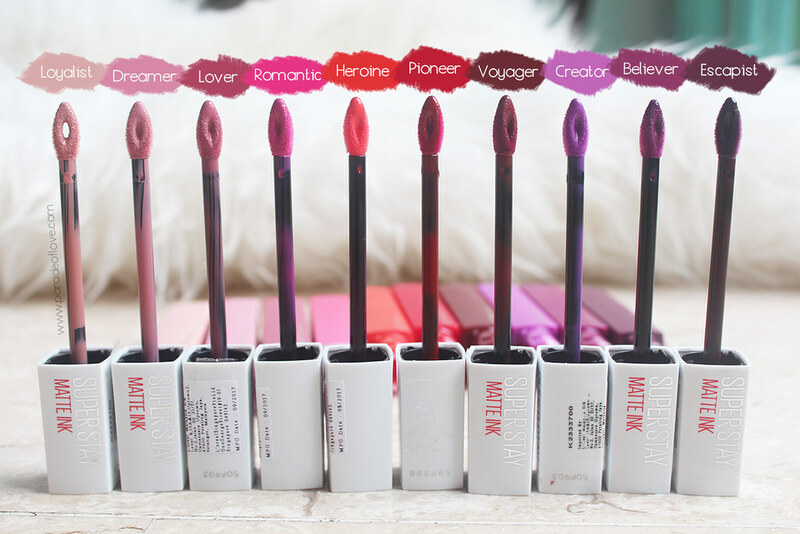 I love how the shades are named, each one describing the colour, in a way. My favourite shades are Lover, Creator and Believer. 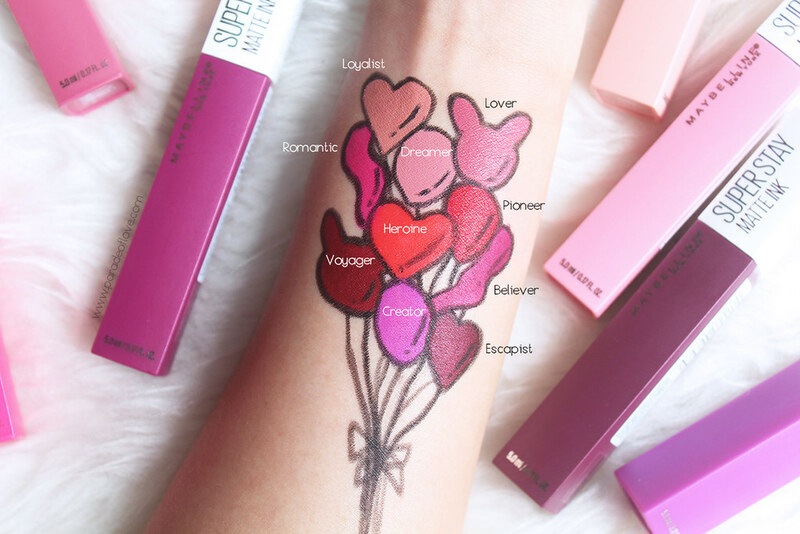 Lover is such a nice pinky mauve that makes you look instantly put-together. Creator, on the other hand, just screams V-I-B-R-A-N-T! 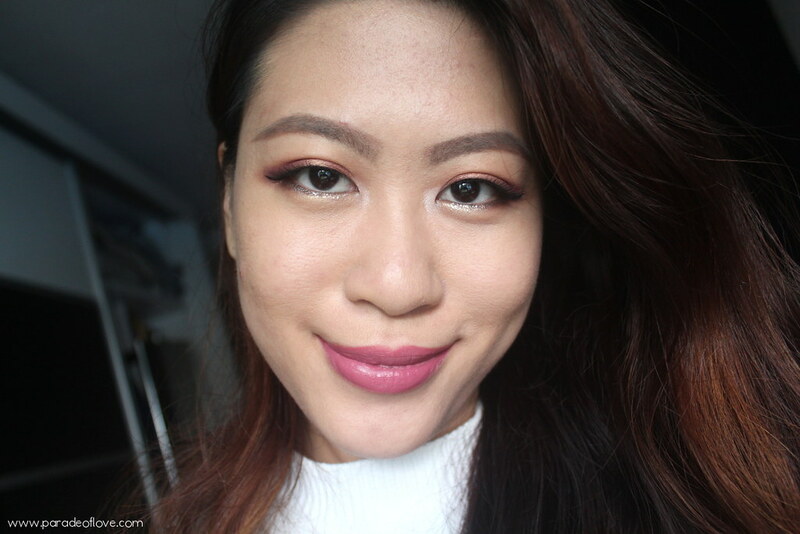 I got so many compliments when I was wearing Creator because it makes my complexion pop. It’s also the Pantone colour of the year so it’s perfect for 2018! 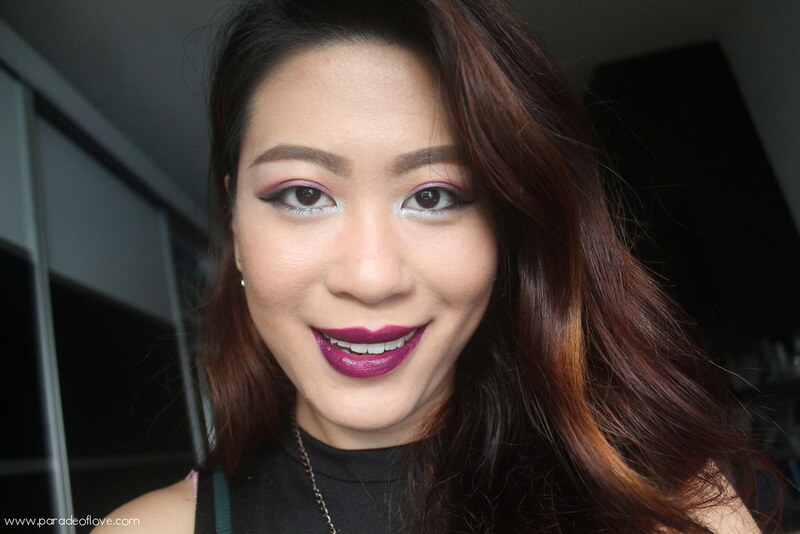 When it comes to my everyday lipstick, I’ll definitely have to go with Believer because it’s the kind of deep berry shade that I can’t live without. 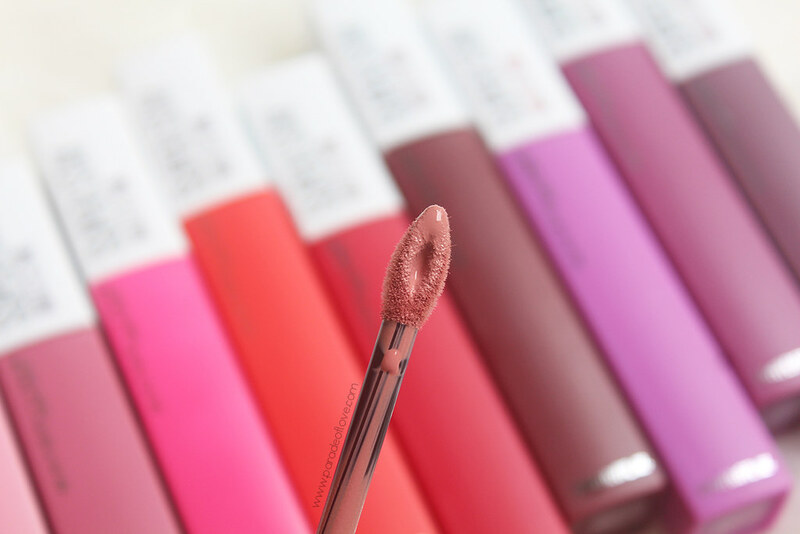 It will appear glossy when you first apply but let it set for about 30 seconds till fully dry and you’ll be left with a nice matte finish with a slight (just a tad) tackiness instead of the usual dry and powdery kind of touch. Also, there’s just something about the formula that doesn’t dry out your lips at all throughout the entire time of wear. It doesn’t cause my lips to flake like normal liquid mattes. I’ve also experimented with the brand’s claims with having this the entire day from 8am to 10pm and I was blown away at how long-lasting the formula is! 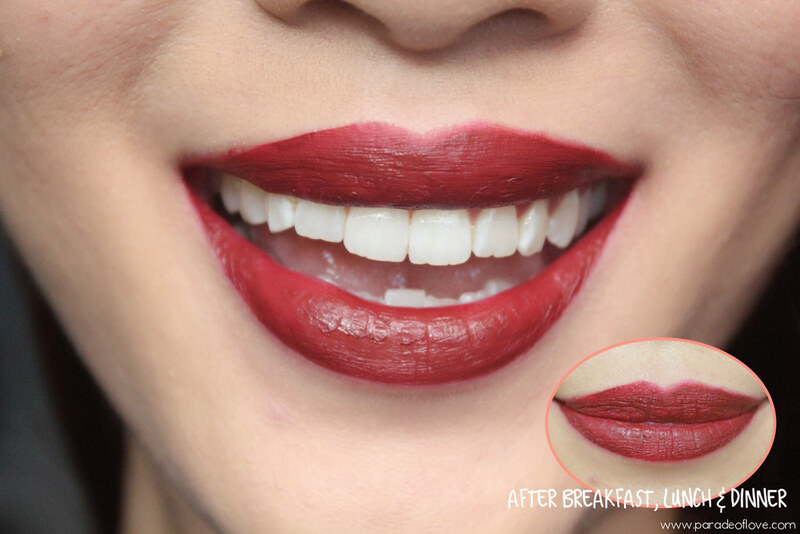 In a day, the lipstick survived my cereal and milk breakfast, fish & chips lunch, tea-time snacks and my Korean fried chicken with bibim-myeon dinner. Even my mum and boyfriend were taken by surprise and thought that I reapplied my lipstick. 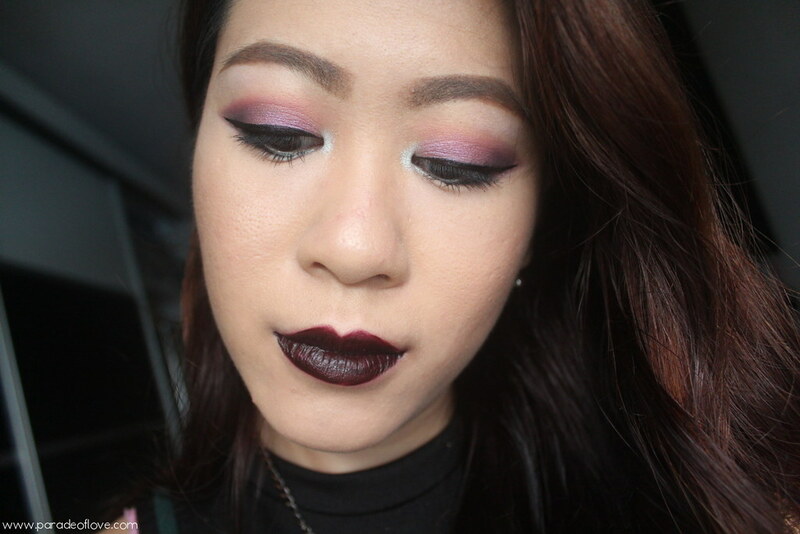 Many liquid matte lipsticks I’ve tried have very comfortable matte formula (such as Kat Von D, Too Faced, Sephora Collection, Urban Decay etc.) but none as lasting as these, tried and tested! For a drugstore brand, this has gone above and beyond, definitely worth every penny. Moreover, this is by far the only one that can survive a super oily meal, which also means it’s harder to remove than usual liquid mattes. I say, a cleansing oil is your best bet in ensuring your lips are thoroughly cleansed. 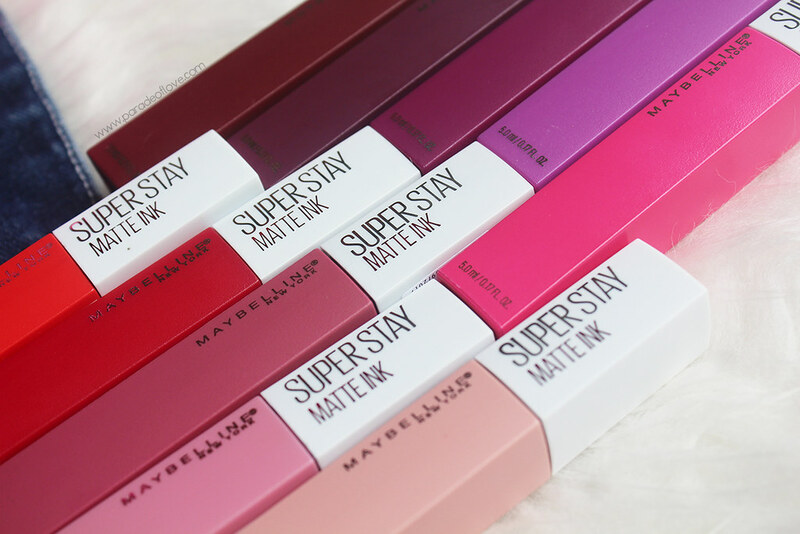 The Maybelline Superstay Matte Ink retails for SGD17.90 and is available in all Maybelline counters. 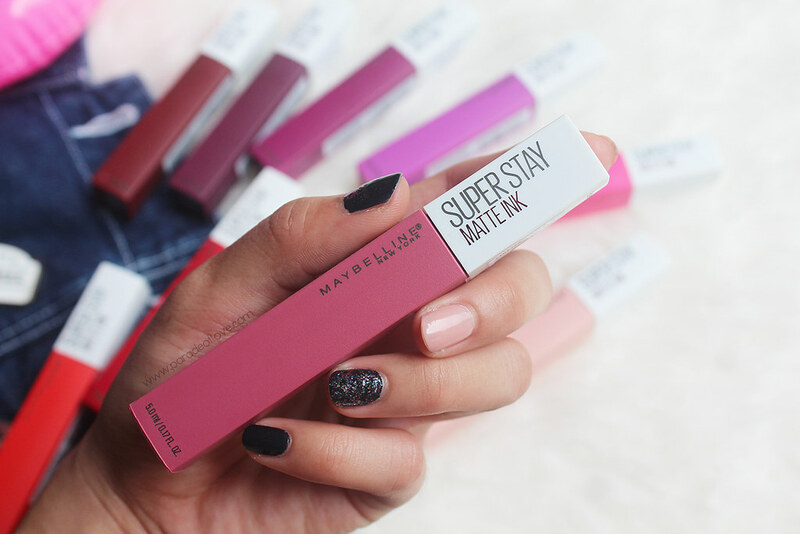 Disclaimer: Products were provided by Maybelline Singapore for the purpose of the sponsored review. The above review is based on my true and honest opinion and experience, without influence from others or the brand. It contains information from the brand. I am compensated by the brand.